Governor Rochas Okorocha, lamented the high rate of damage that rain in the state of Imo has caused his administration. The governor, who said that the rain had destroyed almost all the road projects in the state, asked himself "if the rain is acidic". Okorocha declared this on Monday during the inauguration ceremony of Mr. Mark Uchendu, as the new Secretary of the State Government of Imo, 9 permanent secretaries and others by the interim lawyer of the Ministry of Justice, Chinyere Ibeh, who represented the Prosecutor General of the State of Imo. 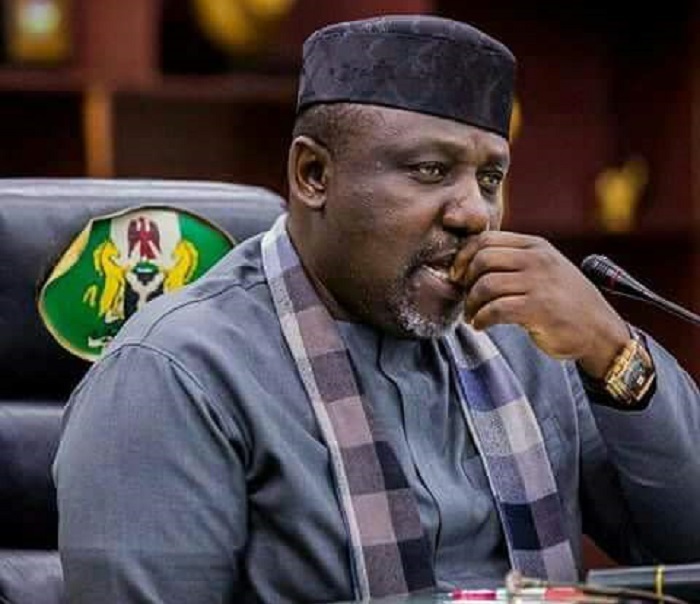 Speaking during the ceremony, Okorocha said; "Let me tell you that I have the remaining 7 months left, I'll do the same thing I did in 7 years in the office." "I am sorry for some of you who say that I have destroyed all the roads, it is because of the unprecedented rainfall, I wonder if the rains are acid, I assure you that we will put them in order. "I want to assure you that the empowerment program of my people will begin with the first names that will be presented by the traditional rulers of our communities My government is a government of the poor I have come to save the lives of many poor Ndimo. "We're going to start letting our people know the projects we've done since the beginning of this administration, what I'm doing is laying the groundwork for any governor who enters the Imo state.